Add an elegant touch to your planning and organizing. 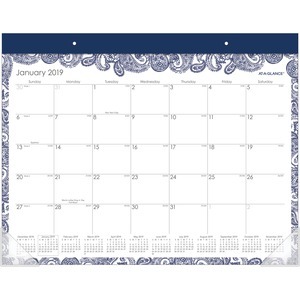 Paige design features an intricate paisley pattern with a handpainted look that stands out on a white background. High-quality paper features superior ink bleed-resistance. Desk pad covers 12 months from January to December with count of days/days remaining. One-page-per-month format features unruled daily blocks for open scheduling. Ruled notes section provides ample room for listing monthly reminders, important dates and more. Weeks run Sunday to Saturday and holidays are listed. Full-year calendar reference listed across the bottom of every page with box around current month for easy identification. 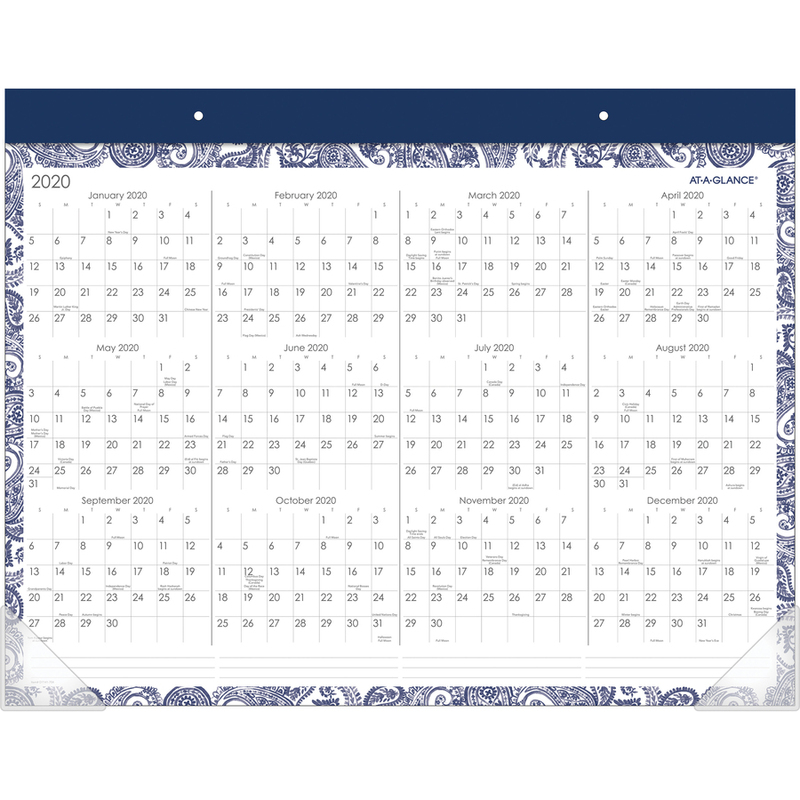 Wide, navy top binding with two eyelets allows desk pad to also be used as a wall calendar. Two clear poly corners keep pages flat while on desk or wall. Durable backboard provides a sturdy writing surface. Calendar blocks are white with gray gridlines and dates.